Judith Evans was a joint first-study Foundation Scholar at the Royal College of Music on violin and double bass. During her time at the RCM she was the only female double bass player in the European Community Youth Orchestra and won the Birmingham Final of the Shell-LSO Music Scholarship. After leaving the RCM, she worked in L’Orquesta Nacional de Espana and L’Opera de Lyon before being offered a position in the English Baroque Soloists by Sir John Eliot Gardiner. This prompted her move into early music and she stayed with Gardiner’s orchestra until the end of the Bach Cantata Pilgrimage in 2000. She has been principal bass with AAM since 1992. 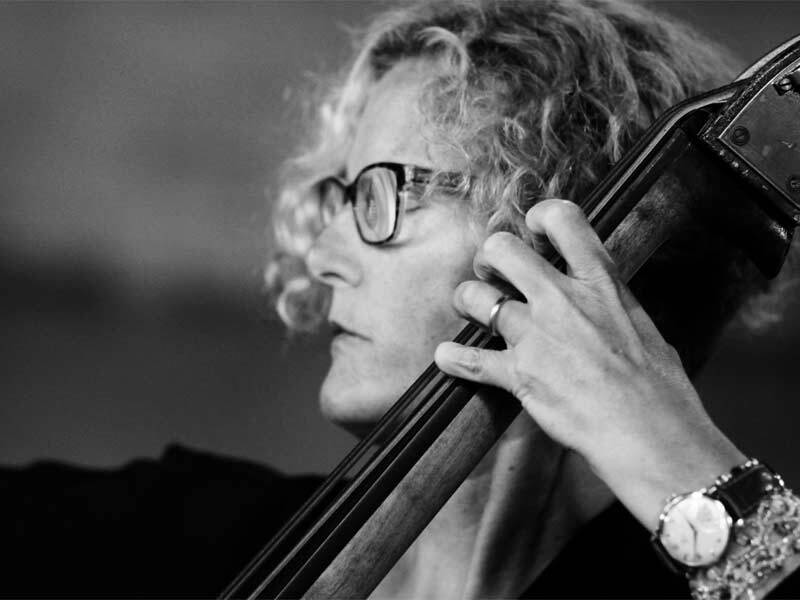 Judith has appeared with all the UK’s major period-instrument ensembles, touring the world as principal bass, not only with AAM, but also the Gabrieli Players, Arcangelo and The King’s Consort. She has recorded extensively, most audibly on discs of JS Bach’s Brandenburg Concertos with the Academy of Ancient Music and the Hanover Band, and Haydn’s Symphonies Nos.6, 7 and 8 which include well-known solos for the double bass. She has appeared as a soloist in the Barbican with the London Symphony Orchestra and the Academy of Ancient Music performing Mozart’s concert aria “Per questa bella mano”, with its virtuosic double bass obbligato, as part of the Mostly Mozart Festival in 2006. In May 2014 Judith again appeared as soloist in the same aria, this time in the Sheldonian Theatre, Oxford, with Collegium Novum. Judith recently co-founded Instruments of Time and Truth, a period-instrument orchestra based in Oxford, where she lives with her husband and two children. She read English at Oxford as a mature student whilst maintaining her freelance career and went on to become an associate lecturer with the Open University.